Nestled in the charming City of Georgetown, SaddleCreek is a 353-acre master-planned community showcasing luxury new homes surrounded by abundant natural beauty. 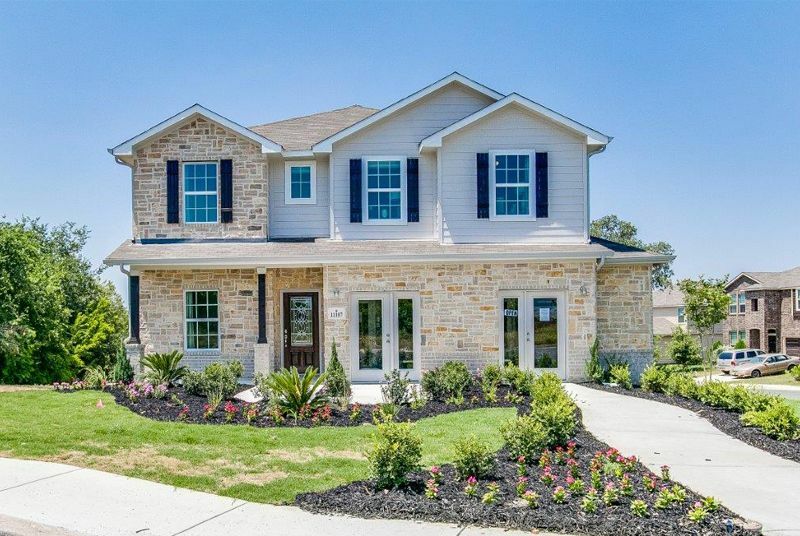 This new home community is conveniently located minutes away from historic downtown Georgetown, I-35 and SH-130. Relish in the small town feel of SaddleCreek while taking advantage of the vibrant city life of Austin – the music capital of USA. Everything you could ever need is within arm’s reach when you are a homeowner here. Your favorite shopping, restaurants, and entertainment are in your backyard. Many major employers including Dell, Emerson Electric, IBM, Apple and Baylor, Scott & White are in the surrounding area. Spend less time commuting and more time enjoying the state-of-the-art amenities such as a resort-style pool, children’s splash pad, event room with patio and fitness center. Take in the nature-rich area of Georgetown with community biking and hiking trails. With an onsite elementary school, kids can walk to school. CastleRock Communities in SaddleCreek offers a variety of new homes providing something for every lifestyle. Your new home by CastleRock includes stunning features, open-concept layouts and unbeatable warranty. Start your new home journey today and learn how CastleRock can make your dream home a reality in the Texas Hill Country.